One of the key (and often overlooked) elements of a great shave is developing your own personal pre-shave routine. This is true for both electric and traditional wet shaving. Many times we get lost in countless discussions about razors, technologies and the optimal number of blades and we ignore the one thing that can make or break our shaving experience: the prep work. I’ve written a few general guides in the past on the topic of wet and dry electric shaving, but in this article we’ll focus exclusively on the pre-shave part. A pre-shave routine represents all the necessary preparations and actions that take place prior to the actual shaving. The goal is pretty straight forward: a closer and more comfortable shave. And that’s exactly what you’ll get with only a few simple, but important steps. I have always made a clear distinction between wet and dry electric shaving; they imply different costs, different razors, different maintenance work and lastly, different pre-shave routines. While I personally prefer wet shaving, this is ultimately a personal choice. For some men, the addition of a shaving cream just doesn’t make a significant difference in their results. It also takes more time and requires additional cleaning, so dry shaving is the more sensible choice in this case. And that’s perfectly fine as shaving should be about what works best for you as an individual. To keep things consistent (and practical), I will address the pre-shave routines for dry and wet shaving separately. Assuming you have already bought the right electric razor, let’s check out the things you must do before actually shaving with it. 1. Eliminate any form of moisture. In prepping your beard for a dry shave, the most important part has to do with the word dry. To maximize comfort during the shave and the performance of your razor, you must ensure that your skin and shaver are as dry as possible. For this reason, do not wash/exfoliate your face or take a shower just before shaving. Also, if you have cleaned your razor with water make sure it is completely dry before using it. The best time for a dry shave would be in the morning, right before taking a shower. 2. Use an electric pre-shave lotion or powder. An electric shaver has to put up with quite a few potential obstacles: flat lying hairs, lack of lubrication, skin oils and moisture. An electric pre-shave lotion or powder provides a layer of lubrication (particularly the powders), absorbs and eliminates moisture, tones the skin and causes the hairs to stand straight. For most men that shave dry, including a pre-shave in their routine will be beneficial. It’s difficult to predict the impact it will have on your results, so your best bet would be to actually give it a shot. Pre-shave lotions are generally inexpensive and will last a long time, so make sure to check out our in-depth article where we discuss the different types of electric pre-shave products. 3. Charge, clean and lubricate your razor. This may go without saying, but having a properly charged and clean shaver should definitely be on your pre-shave checklist. Most shavers can’t maintain peak power output when the battery is almost drained and this is when hair pulling and tugging can occur. Apart from the discomfort, the closeness of the shave will also suffer. 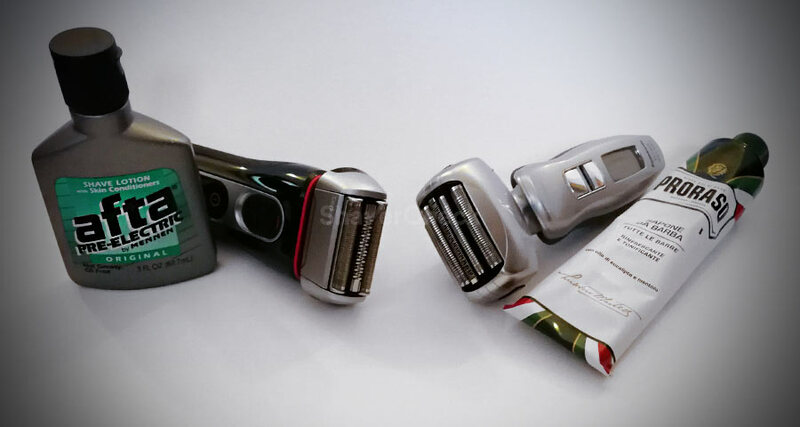 Regular lubrication of the cutters and foils of your razor is also extremely important. The blades and foils are components machined with extremely low tolerances, so the friction during operation will cause them to get hot and they will also wear out faster. A shaving head that gets hot during use can and will cause painful irritation. To minimize this effect, make sure to use a drop of light lubricating oil on the foils at least two times a week. 4. Trim your beard to a manageable length if you haven’t shaved in three days or more. This is not actually specific to dry shaving, but to electric shaving in general. 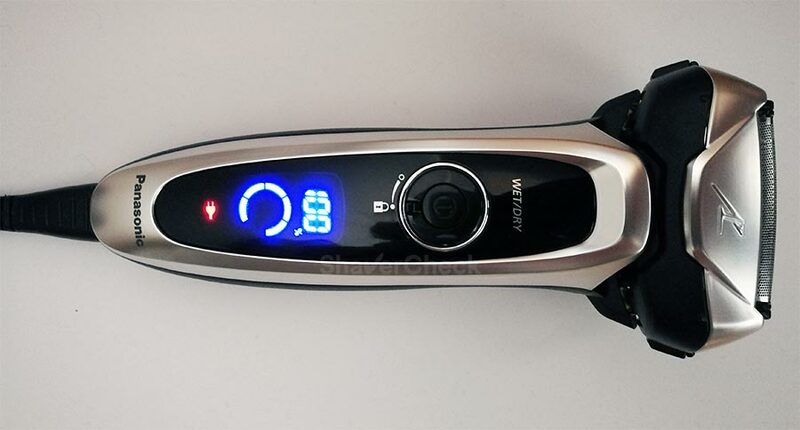 Very long facial hair can be problematic even for the most capable electric razors, so just use a regular hair trimmer to reduce it to a reasonable length. I’ve come across many reviews on Amazon for example where a particular shaver was being bashed for performing poorly on a tailored beard. 5. Always start with the most difficult portions of your face. For the vast majority of men that would be the neck: flat lying hairs, sensitive and irritation prone skin, different direction of hair growth. There are a few reasons why I recommend starting your shave with the trickiest parts. First of all, they require more time, attention, effort and passes. Moreover, you’ll be making constant adjustments of angle, direction and pressure of your razor, so it’s best to be on top of your game and don’t rush through it. 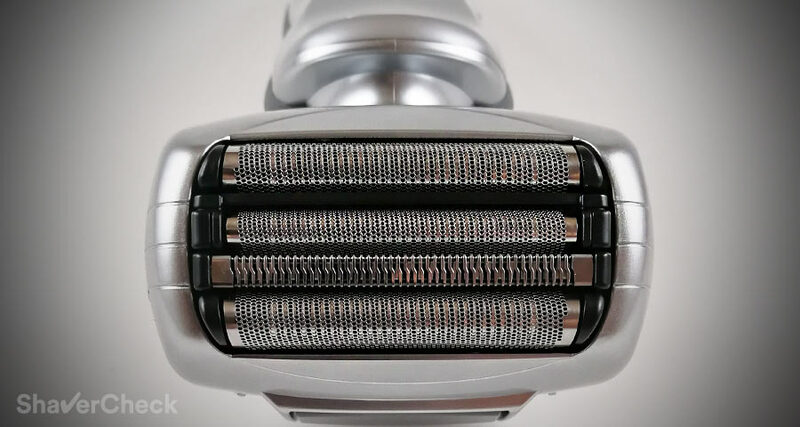 Another reason is that your shaver will continue to get warmer as you use it, so again it’s probably a good idea to start off with the most sensitive and irritation prone areas. Finally, the battery will drain as you shave, and you’ll want maximum power and performance for this part. This isn’t a problem if your shaver is fully charged, but there will probably be times when it won’t be. 1. Wash your face and use plenty of hot water. Wet shaving is called wet for a reason. This is in my opinion the most important factor to keep in mind in the context of wet shaving, regardless if you’re using an electric razor or a safety razor. The principles of traditional wet shaving apply here as well, even if the actual tools we use are different in design and function. I highly recommend taking a shower beforehand and washing your face with a mild cleansing product and warm water. This step is extremely important as hot water opens the pores and softens the hairs. Also, washing your face gets rid of all the dead skin and dirt. It’s also a very good idea to exfoliate your skin a couple of times a week using a gentle facial scrub. 2. Shaving cream is actually the best pre-shave you can use, so give it time to act. Allow me to further explain this. A shaving cream must accomplish two main things: provide lubrication and soften the tough outer shell of the hair, called the cuticle. A quality shaving cream contains a form of alkaline substance (like Potassium Hydroxide or Sodium Hydroxide) that when combined with hot water, is capable to soften this shell, making it much easier for the razor to cut the hairs. In order for this to happen, we must allow the lather a few minutes to actually act on the hairs before we start the actual shave. So next time don’t just start shaving right away and you’ll most likely see the benefits of this. Just remember to use a quality shaving cream and plenty of hot water. 3. Massage the lather into the hairs and use just enough to cover them. When applying the lather to your face, work it gently against the grain using your hand or brush. This will lift the hairs that lie flat on the skin. Also, you’ll want to use a layer of lather that barely covers the hairs; using too much will negatively impact the performance of the razor and the closeness of the shave will suffer. Regarding the consistency of the lather, I personally prefer one that is more watery than dry, but you’ll have to experiment for yourself to find the right balance. 4. Thoroughly cleaning and lubricating your razor is particularly important with wet shaving, so make sure this is taken care of. 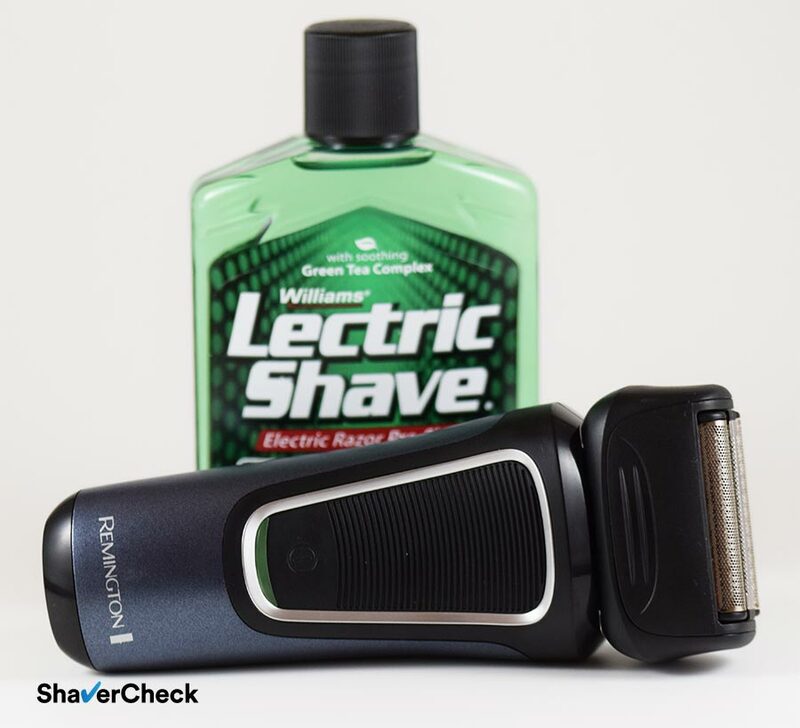 Using your electric razor with shaving cream makes proper cleaning after every use mandatory. Hair, dirt and shaving cream that has dried out can form build-ups that will impact the performance of the shaver. Unless your razor comes with a cleaning station, you’ll most likely use hot tap water and some liquid soap to clean the blades, foils and inner housing of the shaving head. But in doing so, you also get rid of any lubrication the moving parts might have. And as I said previously, this can lead to excessive heat and premature wear of the blades and foils. Therefore, make sure to put a drop of lubricant on these parts after you clean them. A pre electric shave routine is all about prepping the terrain and making things easier for the electric shaver. It’s a sum of simple, basic, even trivial adjustments, but when we put them together they have a major impact on the final results and can really transform your shaving experience. Don’t skimp on any of these steps and, as always, enjoy your shave. I only used the pre-shave oil from Truefitt & Hill and it did improve my shave, but not to a point where I would consider pre-shave oils necessary (in addition to shaving cream). If you decide to give it a try, I recommend going for a thinner, more watery oil like the one from Truefitt & Hill. After wet shaving, should I just dump the machine in the cleaning station after rinsing it with water, or should I still use soap? Also, I’m somewhat fuzzy on the lubrication provided by the cleaning solution: Is it enough, or should I still use light oil after wet shaving? Rinsing your shaver with water should suffice. In fact, unless you shave using cream or gel, you could simply dump the shaver in the station without any manual cleaning beforehand. However, it is a good idea to remove the bulk of hairs just to avoid getting the cleaning fluid too contaminated with hair clippings early on. Do keep in mind that Braun’s stations are prone to clogging if the shaver is not dry and free of any lather/foam residues. Regarding the lubrication, if you clean the shaver in the cleaning base after every use, there’s no need for any additional oiling. A manual cleaning that involves the use of soap will also get rid of any lubrication. To restore it, you would have to lubricate the cutting parts yourself with a drop of light oil. If instead you also run the shaver through an automatic cleaning cycle, that takes care of the lubrication part as well. Is Panasonic solution (for model ES-LV9N) that comes in small saches and mixes with the water also a lubricant? Unfortunately the instruction manual is not clear if manual lubrication is required on the top of cleaning station use. Yes, the solution also acts as a lubricant, so there’s no need for additional lubrication. I don’t have my shaver yet, so I’m doing a lot of research. I plan on buying the Panasonic Arc 5 (ES-LV65-S) and wet shave. I’ve already purchased Taylor of Old Bond Street shaving cream and the Edwin Jagger Best badger brush. My pre-shave plan is to let my brush soak in warm water in my mug while I lube the razor with oil or a spray. Then whip up and apply the shave cream. Let the shave cream do it’s thing on my face while I clean the mug and brush. Shave. Then post-shave, I’ll rinse my face with cold water, clean the shaver by rinsing it with warm water and let it dry until the next day. Once or twice a week I’ll clean the razor with soap and water. Does that sound like a viable plan? Thank you for your comment. That definitely sounds like a viable plan. The ES-LV65-S works great with shaving cream. Just a quick note– make sure you apply the lather on your face and neck in a very thin, slick layer. I find a more watery lather to work the best. If you’ve been wet shaving with a DE razor for example this may sound a bit odd, but it really works better in this case. Also, since this will be your first shave with an electric razor, the results may not be the best at first. But stick with it and you’ll definitely be rewarded with a very close and comfortable shave. You can check out this post for more tips on wet shaving with electric razors. My pre-shave plan is to let my brush soak in warm water in the mug while I lube the razor with oil or a spray. Then whip up and apply the shave cream. Let the shave cream do it’s thing on my face while I clean the mug and brush. Shave. Has anyone ever tried using a shave butter as a substitute for cream while using an electric shaver? Thank you for your comment, Gordon. Glad you found it useful.